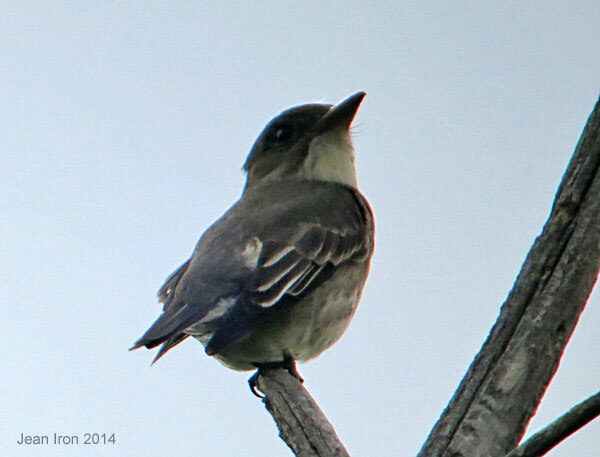 Olive-sided Flycatchers are regular spring and fall migrants in our Toronto garden which backs onto Brookbanks Ravine. We heard its characteristic quick three beers and immediately looked up at the top of one of several dead Eastern Hemlocks, which we leave standing for the Olive-sideds and woodpeckers. It was fly catching from this high conspicuous perch. 19 May 2014. 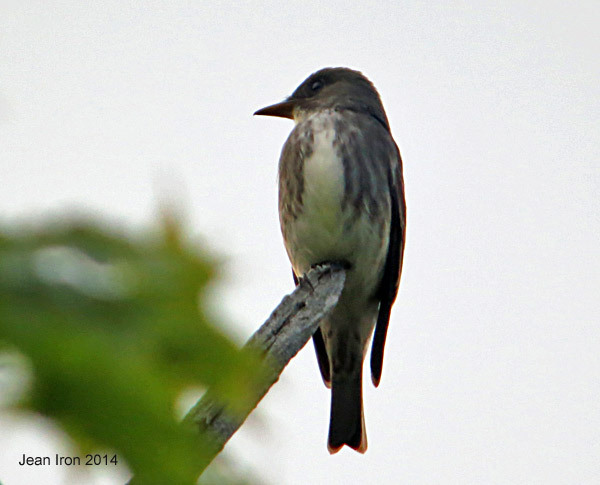 The Olive-sided Flycatcher showed white tufts on the side of the rump, a characteristic feature of this species.